Internet marketing is a tricky business because sometimes you feel like a long lost person at sea, waiting to be found by a ship full of people. If you’ve ever worked in a pay per click company, you must know that it is a challenging task to attract target consumers to the site and the products/services you are selling. However, just like traditional offline marketing, it is a challenge that every marketer loves to win. It is actually easier to promote a business online because internet gives you an incredible reach. When it comes to online advertising, there are many options such as banner ads, pop-up ads, PPC and many more. Although, if you want the best bang for your buck, PPC or pay per click is certainly the most effective medium for business promotion. A PPC model dictates that you pay the ad service provider money when a web surfer clicks on your ad. It is a more cost-effective system than banner ads that may or may not get noticed by web users. PPC campaigns don’t always achieve immediate success, but there is no reason to be disheartened. Here are some useful tips that will help you turn your sinking PPC campaign into a true success story. # Don’t take drastic steps: If you do not get the desired conversion rate from your PPC campaign, the first thing that comes to your mind is “chuck everything and start a fresh new campaign.” Forget the thought and take a look at your campaign to discover the mistakes you may have made that can be rectified. Sometimes, small changes can bring excellent results. Therefore, dive into the details and if you think that a third party perspective can clarify the reasons for failure, hire an affordable pay per click company in India to do the auditing. Professional eyes often detect the obvious mistakes that you can’t identify. # Give some time: Give your ads some time to perform. Nothing happens overnight and patience is a key characteristic of a marketer. If you have recently started your campaign, changed your policy or a new team is managing your PPC account, let time decide whether you are doing things right or not. After one or two weeks, collect data and assess the status of your PPC ads. # Check the keywords: Take a look at the keywords you have been using and evaluate your bids. If the price is too high or low, the keywords may not help you achieve your goals. Besides, make sure you are using the right mix of keywords. Think like a customer and you will find some useful keywords. Broad match keywords generally increase traffic, but provide less conversion. On the other hand, exact match keywords will bring you less visitors, but the conversion ratio will be much better. # Pay attention to the quality score: Google assigns you a quality score based on your ability to meet customers’ expectations. The score is measured by Google after considering various factors such as ad text, relevance of the landing page and also keyword relevance. The better your score is, the lesser you pay for cost per click to the search engine giant. Therefore, try to improve your score. It will take time, but once you start experimenting with your present PPC campaigns after thorough analysis of conversion reports, you will see some improvements in your quality score. # Are your ads good enough? : One simple action that can always improve your PPC campaign is modifying the text of ads. Read your ads wearing the hat of a reviewer and ask yourself will you click on them? Are they convincing enough? Is there any spelling mistake? Are the offers really worth your time? A poorly written call to action can lead to utmost failure. Also, make sure the offers mentioned in the ads are still relevant. You don’t want to display an “exclusive Christmas discount” offer after 1st January, right? # Configure Analytics: Make sure your Analytics account is linked to the account set up for paid searches and that you have configured metrics to track the performance of your ads. You should download reports regularly to evaluate various factors such as “most visited pages”, “bounce rate” etc. As you get a clear picture of the performance of your ads, you can always make small changes to increase the ROI rate. You can always hire a pay per click company to manage your online marketing campaign, but if you are planning to do it on your own, don’t be afraid of experiments. An intelligent marketer does not beg customers to buy, he compels consumers to click the “buy now” button willingly. 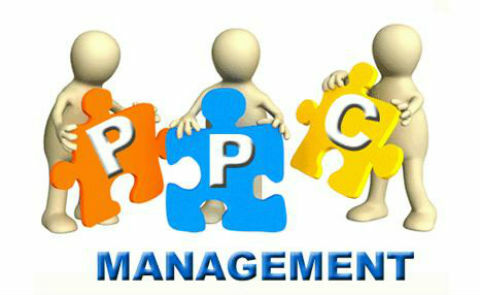 About Author: Sarmista Aun is an expert PPC bid consultant. She works for a professional digital marketing company in India. She is also a professional blogger. How can you achieve successful web design? Enjoyed your article. Will look into it more after reading your article. Thanks for the great post related to the PPC. Whats more, I used to study post in news papers all the time but now as I am a user of internet therefore from now I am using net for posts, thanks to web. An impressive post, saved to my favourites! I really enjoyed this article and its really a great article for PPC.